The secrecy of the judicial collegium ensures that the recent supescession of three judges of the Delhi high court will be shrouded in mystery. Supersession of judges in Indira Gandhi's time, by their sheer brazenness at least, had the merit of transparency. Three judges were superceded in 1973 for the expressly stated reason that their social philosophies were reactionary. One judge was superceded in 1977 for the very obvious reason that he delivered a judgment against the government in the habeas corpus case. But the recent supersession of three judges of the Delhi high court by a purely judicial collegium is shrouded in mystery. The fact that a sitting judge of the Supreme Court has registered his protest is sufficient to delegitimise the whole process. The resolution of the Supreme Court collegium dated January 10, 2019 confirms the fact that the previous collegium had on December 12, 2018 taken "certain decisions". This obviously means that a resolution was signed. Otherwise, they would not have been "decisions". It is common knowledge that these decisions were to elevate the sitting Chief Justices of the Rajasthan high court and the Delhi high court as judges of the Supreme Court. The fact that these decisions were not uploaded to the Supreme Court's website or were not communicated to the government is completely irrelevant. Once those decisions were taken, there was a duty to send them to the government for processing the names for appointment. It is unimaginable that the previous collegium could not undertake and complete the process of consultation, as the January 10 resolution would have us believe. And if they hadn't undertaken the consultation which their own Memorandum of Procedure requires them to do, this is a shocking admission of laxity by five of the senior-most judges of the country. The resolution would then have us believe that an incomplete process was revived by a reconstituted collegium on January 5 and 6, 2019, and that they now had additional material against the two judges, which led them to jettison the earlier two names. And so, we have a very recently superceded judge, Justice Dinesh Maheshwari, finding his fortunes revived (Justice Ajay Rastogi, who was junior to him had made it to the Supreme Court last November) and three senior judges of the Delhi high court being superceded by a junior colleague. The secrecy of the collegium ensures that the reasons for superceding three judges in favour of a fourth will remain the subject of rumour and innuendo. The CBI collegium was different: today, we at least have the benefit of what Mallikarjun Kharge had to say about the ouster of Alok Verma. But the judicial collegium, with its self-created secrecy, will ensure that we will never know why four of its members changed their minds within one month. Many who wanted the collegium system scrapped changed their minds in 2014 only because the BJP had come to power and "court-packing" was feared if the executive had a say. Only the collegium, they felt, would keep the judiciary independent. They glossed over the many problems with the collegium system thrown up by two decades of experience. 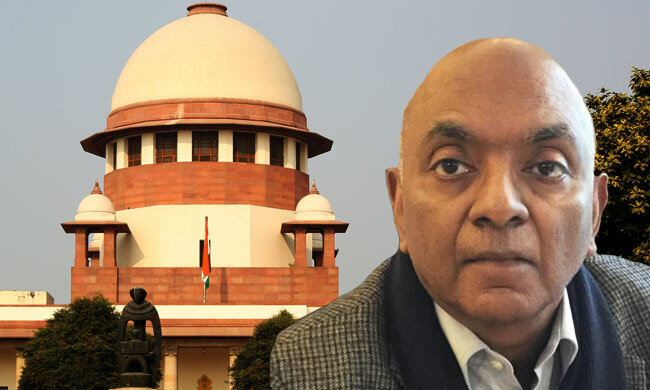 Those who exulted in the fact that the Supreme Court struck down the National Judicial Appointments Commission must realise whether they were being naïve in assuming that the collegium would reform its processes. Now, it has become a law unto itself. The January 10 resolution says there are currently five clear vacancies. Yet the collegium decides that only two vacancies need to be filled. For a court groaning under the weight of arrears (like all courts in our country), may we know why this august body thinks only two vacancies need to be filled immediately? The collegium as a body seems to be constantly strategising as far as filling vacancies in the Supreme Court is concerned. Last year, again coincidentally on January 10, when there were six vacancies, only two names (Justices Indu Malhotra and K.M. Joseph) were sent to the government. The Chief Justice's court has, in its judicial capacity, been monitoring the filling up of vacancies in the subordinate courts of the country. It has questioned the high courts for not acting promptly. But there seem to be some very compelling reasons why all vacancies in the Supreme Court don't need to be filled at once. Raju Ramachandran is a Senior Advocate at the Supreme Court of India.